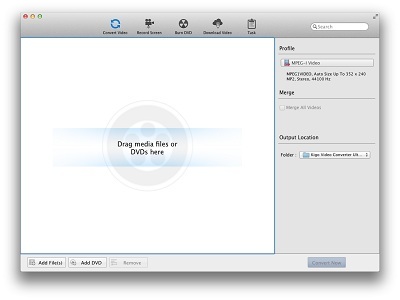 Kigo Video Converter Pro for Mac is a powerful tool for Mac users, which provides with dvd ripping, 20+ web video downloading, creating DVDs from videos and other useful functions. This powerful Video Converter supports all popular video formats including FLV, MPEG1, MPEG2, MP4, 3GP, 3G2, MOV, AVI, M2TS, MPEG TS/TP (for HD Video) etc. for iPod, iPhone, iPhone 3G, PSP, PS3, Apple TV, PSP, Zune.